You’ve probably heard about the four C’s of diamonds: color, clarity, cut and carat weight. Introduced in the middle of the twentieth century by the Gemological Institute of America (GIA), they created a global standard for the attributes for judging diamonds. 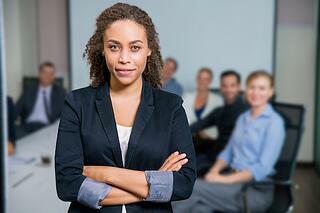 So how do the four C’s apply to a change manager? I believe there is another set of C’s that apply to hiring or training a world-class change manager that go beyond a job description to a set of attributes necessary for success. Don’t get me wrong; job descriptions are certainly helpful. 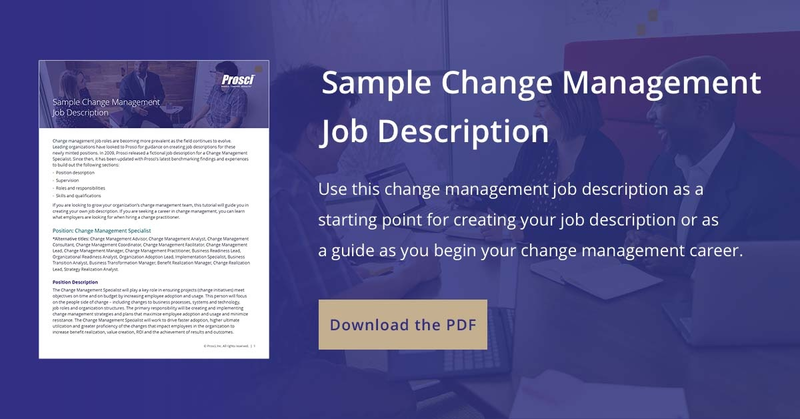 Prosci provides a sample job description for a Change Management Specialist (with suggested variations in the title) that has proven to be beneficial to many organizations. It defines the role, responsibilities, skills and qualifications recommended for a person tasked with ensuring projects or change initiatives meet objectives and realize benefits by increasing employee adoption and use. What Do Candidates Bring to Their Role? What I would like you to consider—beyond the recommended skills and qualifications—are the attributes of a world-class change manager that we see across organizations and geographies. This requires making the distinction between what someone does (a job description) and what someone brings to this role (their personal and professional attributes). In other words, the qualities regarded as characteristic of or inherent to someone successful in this role. This is where my ‘four C’s of a world-class change manager’ come in. A world-class change manager is committed to their role and the value they bring to projects and change initiatives and thinks in terms of the people impacted by them. Commitment to themselves is demonstrated in the desire to develop their capabilities and competencies, always striving to learn and grow in their role and knowing there is no ‘end state’ for their knowledge and ability. They demonstrate commitment to the people impacted by change by their human-centered appreciation for how people navigate through change; ensuring they are prepared, equipped and supported in the change process. This builds trust and lays the foundation for the person-by-person transition that must occur to achieve project success and have the desired impact on organizational success. A world-class change manager thinks in terms of connections: people, projects, processes and outcomes. People connections allow them to weave a thread of influence from senior leadership to frontline employees. Project connections include understanding how individual projects impact the organization and the cumulative and collective impact of multiple projects. Process connections address both business process and solution delivery—the integration of process activities and change capabilities that exist in the organization and their common objectives. And, outcome connections ensure results align with organizational vision, strategy, goals and objectives in a measurable, sustainable way. A world-class change manager communicates in an open, honest and authentic way. They understand the need to meet people where they are, both in terms of the language used and the context of communication. They understand the importance of aligning communication messages with what people care about and the problems they are trying to solve. And they leverage their connections to make change outcomes attainable, communicating lessons learned and celebrating successes. A world-class change manager is creative, tapping their imagination and others’ in the organization. They create original ideas to simplify complex concepts, breaking large efforts into small pieces to make the end results more attainable. They think outside the box. They aren’t afraid to try new things and may even be willing to have a little fun in the process. Diamond in the rough – This is someone who naturally has the four C’s but needs change management knowledge and skills. If you are looking to put someone into this role (or would like to be in this role yourself), Prosci can help with that process through our training offerings and advisory services. Perfectly polished – This is a change manager with a history of success and a collection of lessons learned. Search for someone who demonstrates these attributes and has the background and experience to step into the role and immediately shine in your organization. To leverage the investment in your four C’s change manager, give them the opportunity to shine the most brightly by creating the right setting. Creating a “change-positive culture” that starts at the top and reaches everyone in your organization is critical to success. A beautiful diamond without the right environment will not be able to perform to its potential. Prosci can work with you there, too. Many of Prosci’s clients are on the path to build an enterprise change capability—we call it enterprise change management (ECM). Let us know if you want to learn more. So, whether you are searching, screening or training a candidate—or working on your readiness for this role—consider the four C’s as a standard for the attributes for assessing and selecting a world-class change manager. 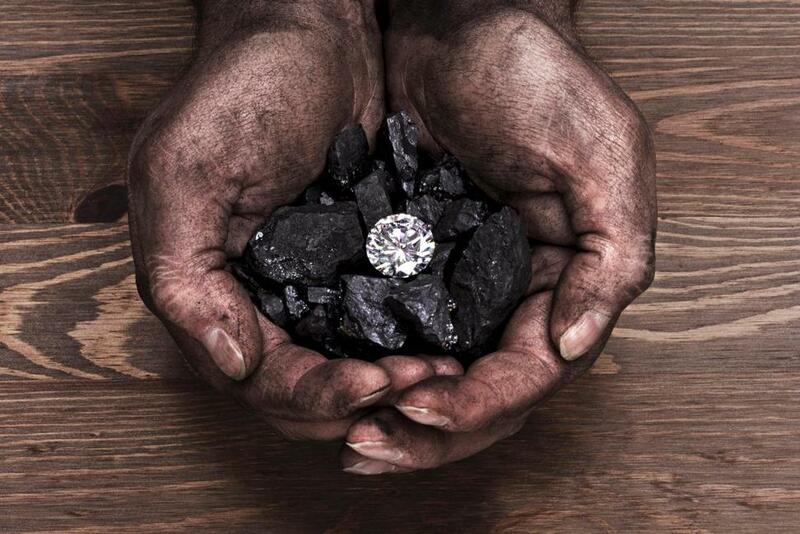 This person will be valuable and highly sought after in your organization—kind of like diamonds. Karen Ball is an energetic leader with over 30 years of experience working with organizations as a trusted partner and advisor. Her passion is to help organizations manage the people impact of change to improve adoption and drive benefits realization. She uses her unique ability to bring clarity in complex situations to optimize organizational results.